Wednesday, October 26, 1859.Urbana, IL. In Pepper v. Shouse et al. court gives plaintiff leave to withdraw bill of exchange and then to have case redocketed. Somers represents plaintiff; Lincoln, Coler, Sims, and Sheldon are for defendant. Record. 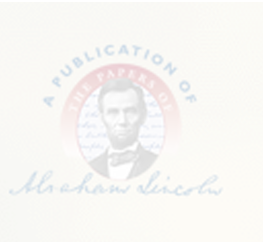 Lincoln writes agreement in Correll et al. v. McDaniel et al., signing "Conkling & Lincoln & Herndon for adult defendants." Photocopy.